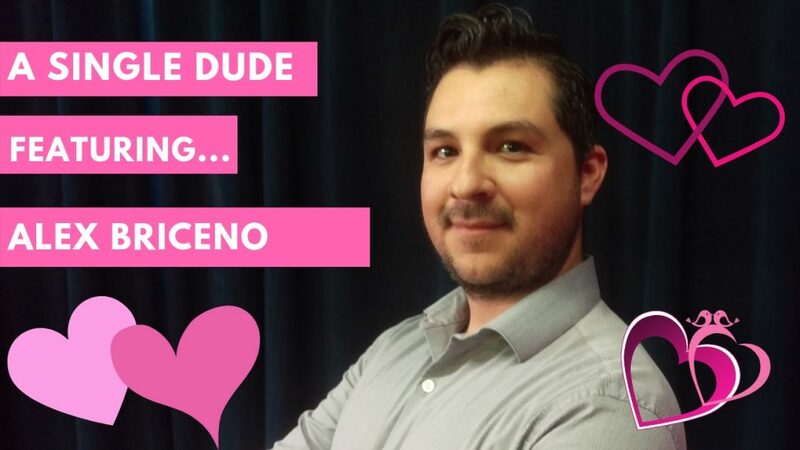 Inspired: An Improv Blog We find love for salsa loving, yes anding, uke playing Alex Briceno! Alex is a 32 year old who is haphazardly looking for love. He is a licensed psychotherapist. And has decided to devote most of his time to his career of running a drug treatment program. He has dated multiple women, but they never lasted more than 3 months for a variety of reasons. He tried the online dating scene but didn’t have the time or wherewithal to be successful and discovered he had better success (though still limited) meeting women in the real world. He decided to join many meet ups, take several dancing classes, and improv classes to up his social skills and exposure. He really enjoys dancing (especially salsa and line dancing), playing his ukulele, hiking, and genuinely getting to know others. He would definitely prefer someone who enjoys the outdoors, can geek/nerd out, and someone musically inclined (whether that’s instrumentally/vocally, dancing, or just has good taste in music). All in all, his friends tell him he’s too picky, but he hasn’t given up hope. On April 27th, we will dive deep into his dating past, figure out WHY he’s still single, and improvise his Happily Ever After!